The present leaf-shape dishes were produced at Berlin over a period of time and in graduated sizes, the size indicated by the incised numeral. The present dishes, both incised 1 are of the first or smallest size. 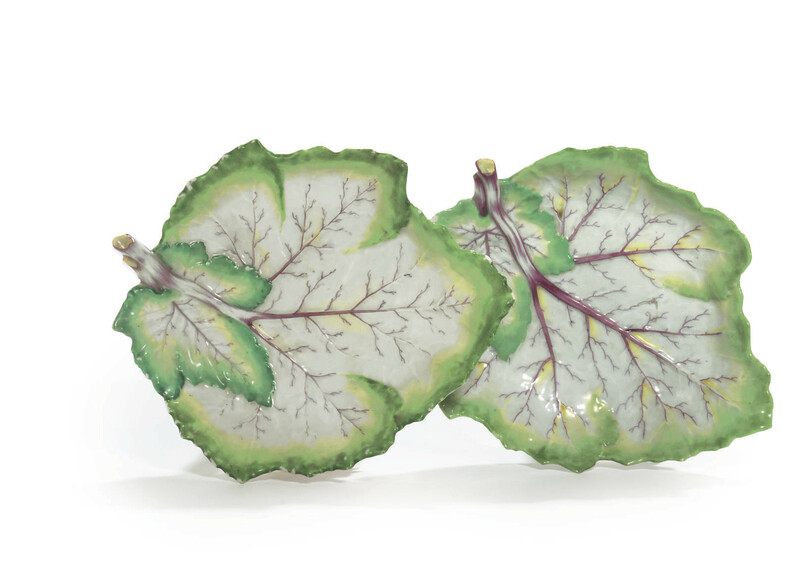 See Christie's, South Kensington, 12 December 2002, lot 208 for similar graduated dishes, incised II (8½ in. wide) and incised III (10 in. wide).